The two sides take to the field at Stadium MK for Wednesday evening's fixture. 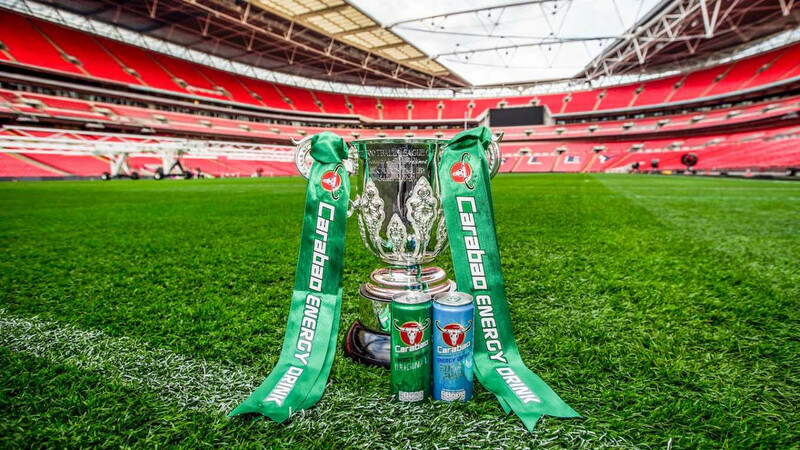 Watford travel to Milton Keynes Dons’ Stadium MK on Wednesday as face Tottenham Hotspur in the Third Round of the Carabao Cup. Having already met this season, in a league game just before the recent international break, the Hornets may be more buoyant than their opponents after the 2-1 victory they secured over Spurs at Vicarage Road. Both sides will view the competition as an ample opportunity to pick up silverware. However, their matchday squads for the fixture may be impacted by enforced player rotation due to the physical demands of the Premier League. In the Third Round draw, which took place on 30 August, Tottenham were given home advantage in their match with Watford. In most circumstances, that would be the end of any debate as to where the encounter takes place — it would, of course, be the home venue of the Spurs. However, Tottenham find themselves in a far from usual circumstance. With the delayed completion of their new stadium, and the unavailability of current home venue Wembley Stadium due to an event organised prior to the draw, they had nowhere to host the game. After consideration of various stadiums in the broadly local area, the Tottenham board applied for special dispensation to play the game in Milton Keynes, and this was duly granted. Watford’s Vicarage Road was one ground taken into account, and the stadium was formally suggested by the drawn visitors — but Spurs and the competition’s board opposed the proposal as they believed the number of fans Tottenham could take to Hertfordshire would not be befitting of their status as the home team. The two sides have already crossed paths in the first six games of the Premier League season, on an ecstatic day for all associated with Watford Football Club. The Hornets came from behind to prevail over their opponents, thanks to quick-fire goals from Troy Deeney and Craig Cathcart. Victory propelled Javi Gracia’s side into 3rd in the table, but turned out to be the final step in Watford’s formidable 100% winning record to start the season. While this may give the Hornets a degree of psychological advantage, an intelligent and ultimately skilled team like Tottenham will be spurred on by defeat and the thought of redemption, and tactician Mauricio Pochettino will be keen to amend the mistakes his side made in the previous meeting. The Carabao Cup finds itself in midweek slots sandwiched in between league games and, as it doesn’t bear the idyllic reputation of, say, the Champions League, this can often lead to squad rotation when managers and senior players feel the need to prioritise their primary domestic competition. And Watford’s fixture with Tottenham will likely be subjected to similar treatment. After an energetic performance at Fulham at the weekend, and with Saturday’s visit to Arsenal in mind, Gracia will be conscious of the possibility of overexertion and injury to his key players. Pochettino, too, may choose to select fringe or less experienced players for the game, as a way of both conserving the fitness of his starting 11 while also giving valuable minutes to some of the club’s young prodigies. Though the Argentine does not agree that for an elite team like Tottenham to make wholesale changes in tournaments like the Carabao Cup can be branded as “disrespectful” and views it as an obligation to involve every member of a squad in order to justify both their contract and their footballing ability. “We rotate, trying to find the best solution to win,” he told BBC Sport in a pre-Watford press conference. “But the obsession here in England is to try to disrespect the players who play in one or another competition, and for me, it’s so difficult to understand. I think when Tottenham are going to play tomorrow, we are trying to win. Spurs goalkeepers Hugo Lloris and Michel Vorm are out with thigh and knee injuries respectively, meaning Paulo Gazzaniga will likely start between the sticks for the home side. Watford captain Deeney has recently played with broken toes and will not be risked for the Carabao Cup tie, though will return for the weekend. Gerard Deulofeu, Tom Cleverley, Sebastain Prödl, Miguel Britos and Stefano Okaka are also out of contention for the Hornets. Tottenham - Gazzaniga; Walker-Pieters, Foyth, Vertonghen, Rose; Wanyama, Winks; Sissoko, Alli, Lamela; Llorente. Watford - Gomes; Navarro, Mariappa, Kabasele, Masina; Chalobah, Wilmot; Femenía, Quina, Sema; Success. Andre Gray: "It's a great feeling"
Heurelho Gomes: "We need to believe"
Javi Gracia: "I'm happy for all the players"